This choice of font styles highlight each section perfectly! 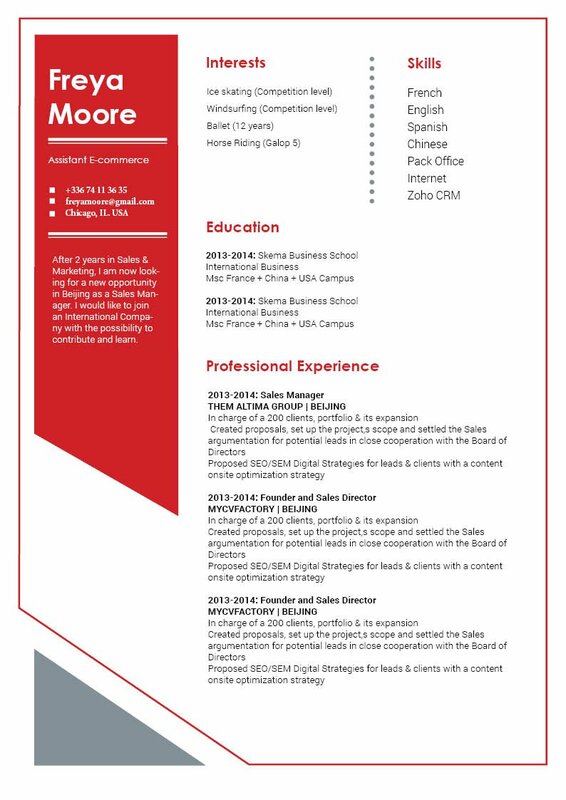 CV template to download "Indescribable"
The INDESCRIBABLE resume is one really creativ CV template that is sure to make you stand out from the other applicants ! 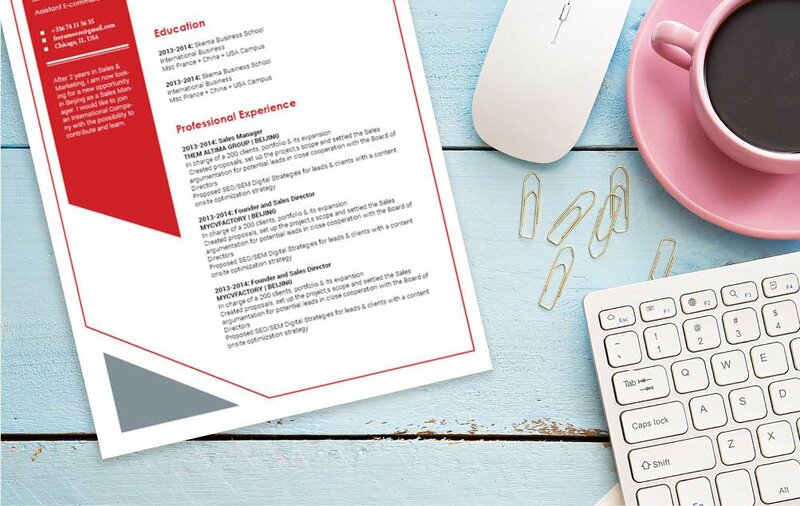 This resume template has a selection of colors, shapes, and texts that create a simple, yet eye-catching resume design, which is applicable to any job type out there and is ideal for applicants who have a solid set of qualifcations. Get that dream job now ! Make it clear and straightforward. No matter how well written your resume is made, it’s not gonna get a full reading the first time around. Therefore, you must presetns all your information in well-organized format that is easier to read. 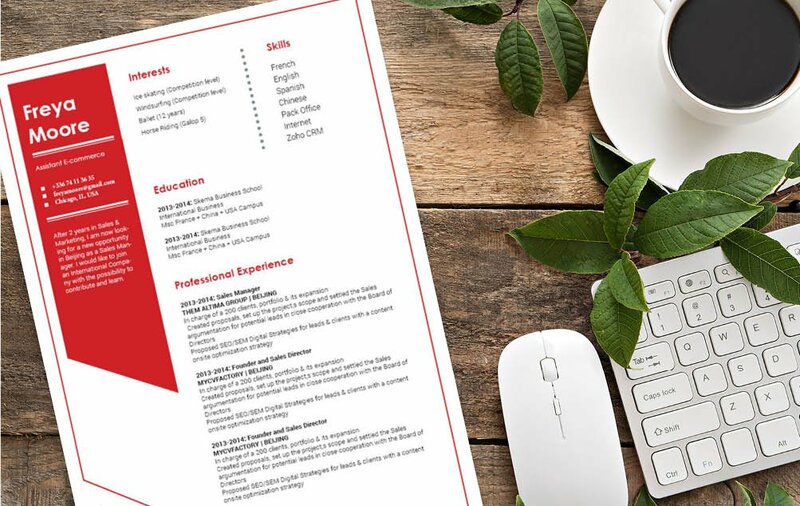 Select a professional font like Seriff or Calibri, choose a font size between 11 and 12, and selectievly apply bold/italic font styles to guide the eyes of your recruiter throught the key parts of your resume. 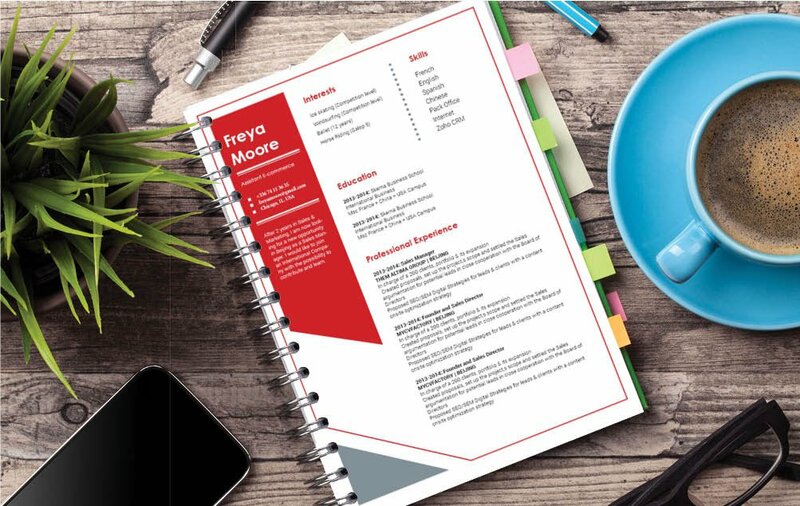 Use graphics to bring attention to the phrases in your CV that need emphasis. Lastly, create a logical format by using headings and subheadings.